Microsoft’s Band 2 was created in the dust of Samsung’s own Gear Fit, with its curved display looking similar to the Korean giant’s own fitness band. The Band 2 hasn’t necessarily taken off with consumers, but that doesn’t mean Microsoft has given up on trying to win over a few. The company recently published its trade-in list, giving Apple Watch owners more financial incentive to trade in their smartwatches than owners of Fitbit, Pebble, Sony, and even Samsung device owners. Now, though, Microsoft is back to sweeten the deal for customers whose trade-in credit for a Microsoft Band 2 isn’t necessarily a sweet deal. 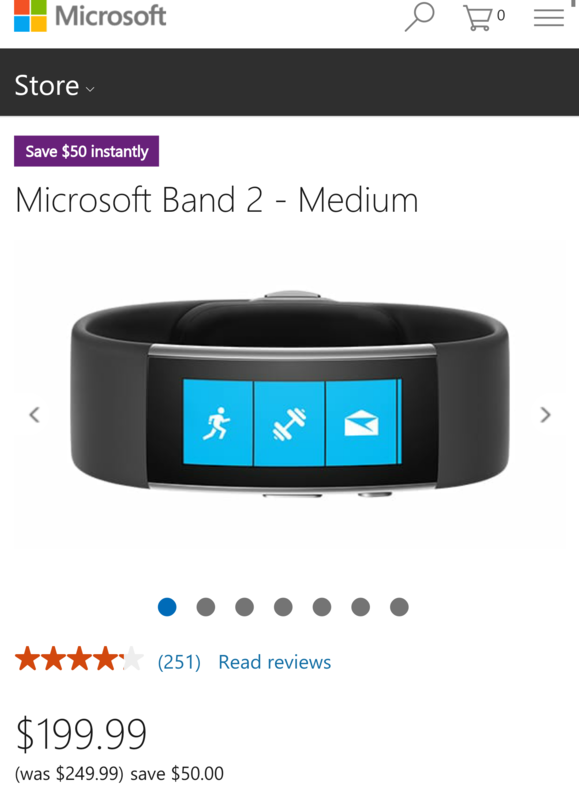 The new deal brings [an additional $50 off the Microsoft Band 2], with the price dropping from $249.99 to $199.99. Now, depending on the credit given, if you’re an Apple Watch owner that is, you can get the device for free, for free with a credit for an additional accessory, or a small price reduction that still leaves you on the hook for paying something on the device. Perhaps the latest update for the device, bringing new weight tracking and a GPS Power Saver Mode, will sweeten the deal even further. The Microsoft Band 2 is for US customers only, and we’re sure that Apple Watch owners will feel spoiled for choice, once again. If this deal, coupled with your smartwatch trade-in value, is more than sufficient, head on over to the $50 Microsoft Band 2 link above in the post and buy your new wrist wearable.